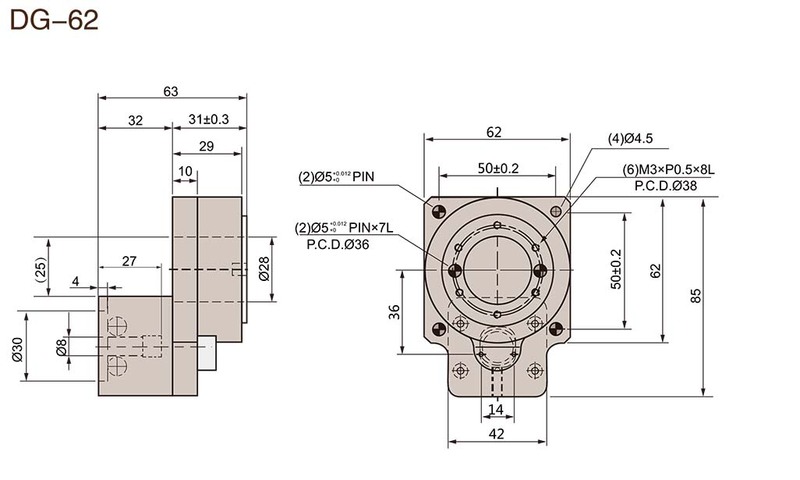 Direct connection simplify the design of hollow rotating actuator and can improve the reliability. Large-diameter hollow rotary drive makes wiring and piping simple. High precise positioning. The deviation of angle transmission is 4 min. Easy of origin regressionthanks to the using the origin sensor kit. 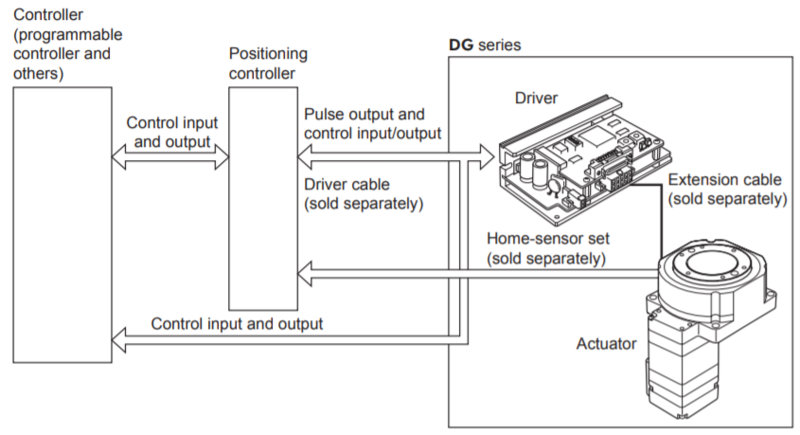 Inertial load positioning can be achieved by DG hollow rotating table in a short time. 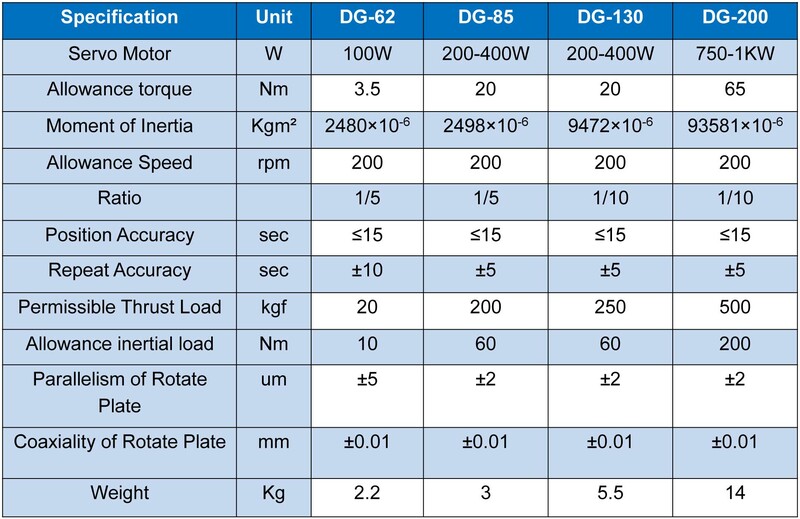 DG is a kind of series product that integrates high rigidity hollow rotary actuator and a closed-loop stepper motor. It features of easy use of stepper motor and meantime large inertia loads can be positioned with a high degree of accuracy. 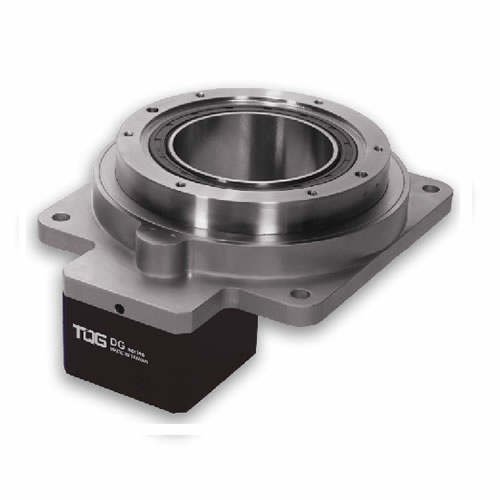 DG Series hollow rotating actuator uses high-precision gear structure and radial bearings to improve the torque and rigidity, which makes the load more stable. 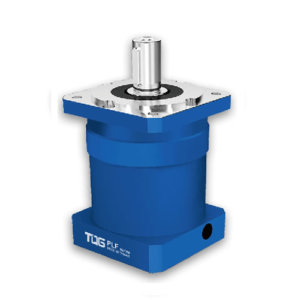 Besides, the servo motor or the stepping motor can be arbitrarily cut to meet the number of bits that the cam indexer can not control, and the positioning accuracy can be comparable to the direct drive. 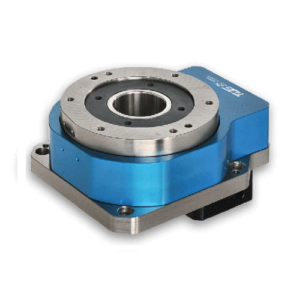 The hollow rotating actuator can realize positioning of inertial load in a short time. The work table, machine arm or other load can be directly installed on the hollow rotary output stage. Therefore, the fastening components such as the coupling, the power transmission components such as the pulley and maintenance are all not needed. 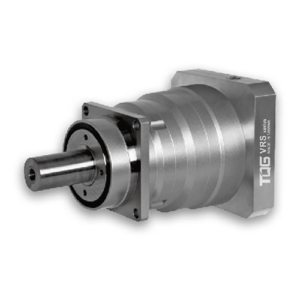 High precision positioning without backlash allows high accuracy positioning within 2′ (0.033 degree) idling motion. The hollow large diameter structure output stage has a hollow structure with a diameter of 28 mm. Therefore, the design of your device can be simplified and the installation space can be saved by crossing the hollow parts through pipes and wires. 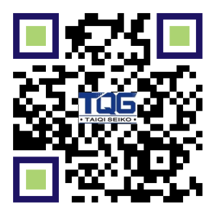 Quick response and high reliability. 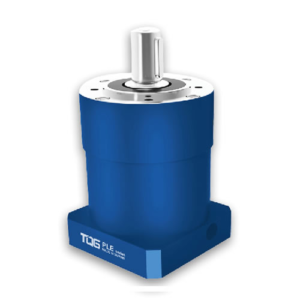 The stepper motor used by the DG series hollow rotary actuator does not allow positioning errors even when the load suddenly changes. The rotating speed and the volume are monitored during operation, and the response delay will be corrected and the operation of DG actuator will be continued within the maximum operating torque range when the possibility of step losing is detected as a result of overload. 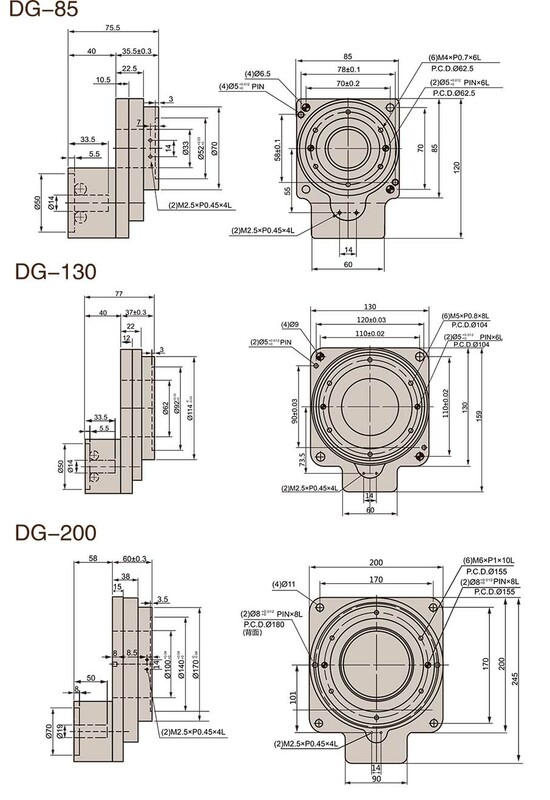 Note: The operation of DG Series hollow rotary reducer needs the controller with pulse output function to operate. The motor shaft is parallel to the central axis of the turntable is called side-mounted rotary actuator. Motor shaft and the center axis of the turntable are in a 90 degree angle is called paraxial type rotating table.